Peach Crumble Tweaked (vegan, raw, and gluten-free) | Yumtritious Eating! This version of peach crumble is tweaked with the addition of zucchini and carob powder. With a food processor, it is a snap to make. Chop the peaches, and place them in the pie plate. Set aside. 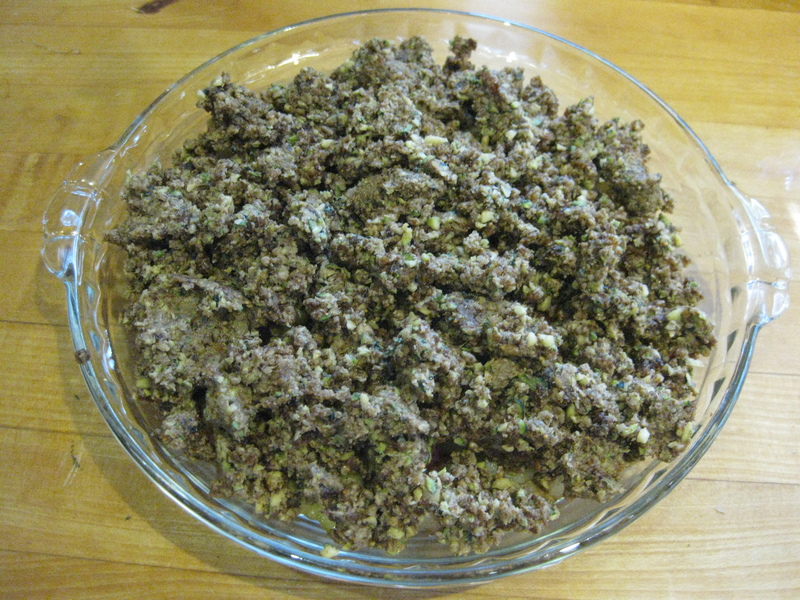 Put the almonds and walnuts into the food processor and process on high speed until the nuts are finely chopped. 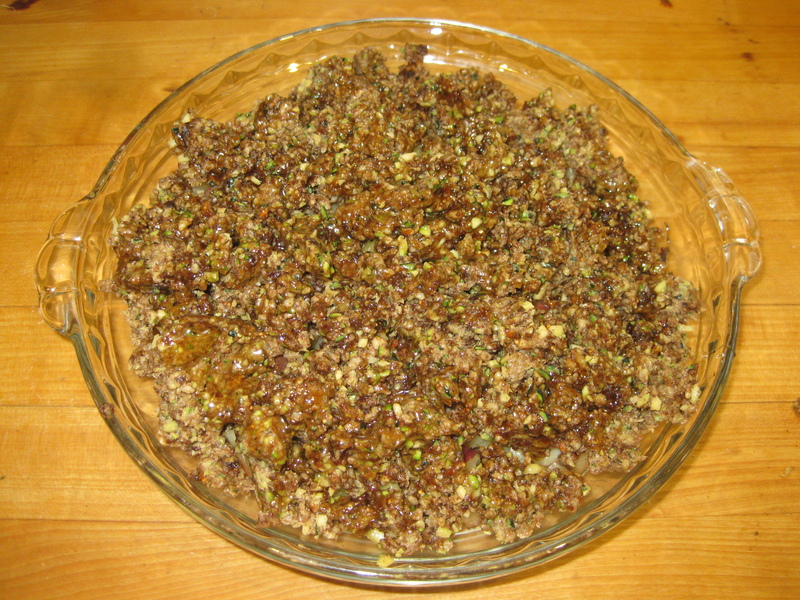 Add the sunflower seeds, cinnamon, cloves, and carob powder and process until the sunflower seeds are finely chopped. Add the zucchini and process until the zucchini is mixed in. 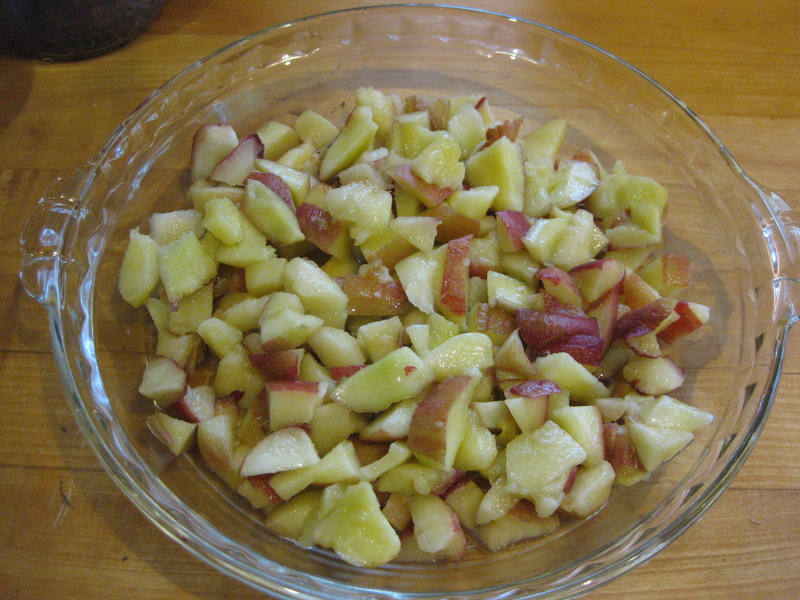 Add the raisins and chopped figs and process until they are well chopped. Spoon the crumble mixture on top of the peaches. Drizzle the honey or maple syrup on top of the crumble mixture. Let the peach crumble sit for at least 1/2 hour before eating. Letting it sit longer will soften the peaches and make the crumble tastier. A friend suggested cooking it for 15 minutes to make the flavors blend more quickly. I didn’t try cooking it so I can’t say whether cooking it is an improvement. I did find that the crumble was yummier the next day.